If 2019 could have a shape, it might just be honeycomb. 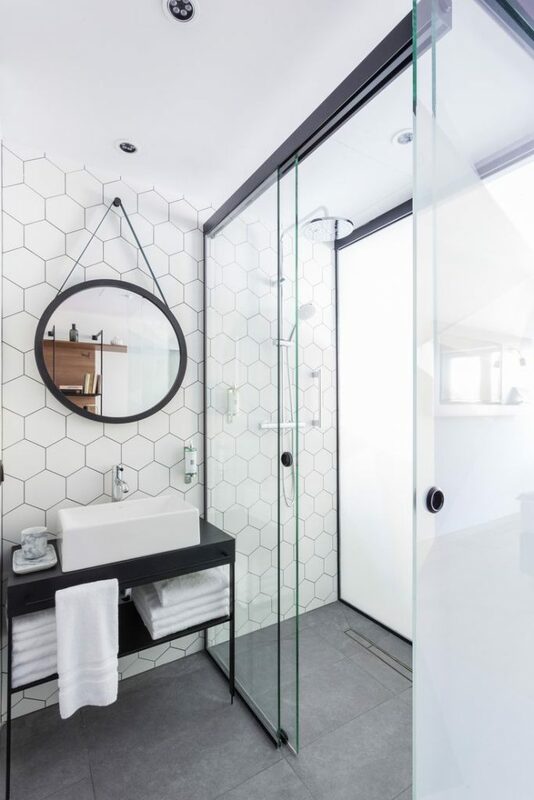 It’s all about getting geometric, with hexagonal shaped tiles appearing in both flooring and walls all over the place. 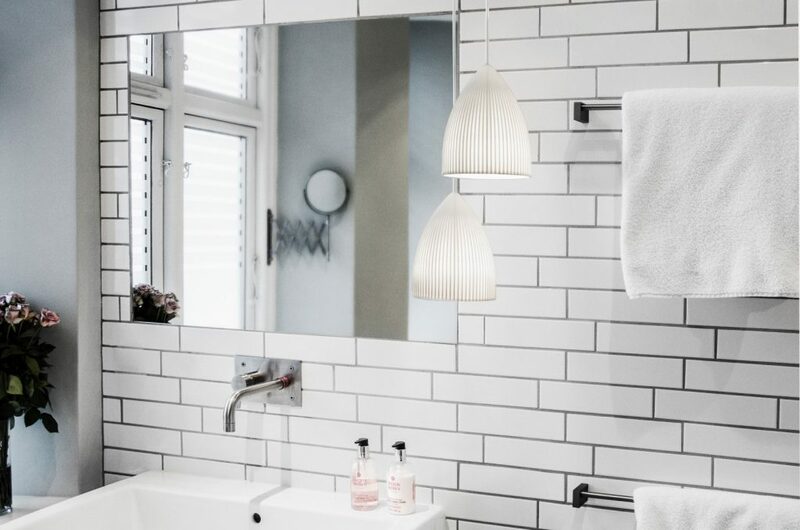 Alongside this, the classic boxy subway tile has been sidelined in favour of a longer, narrower and sleeker alternative. 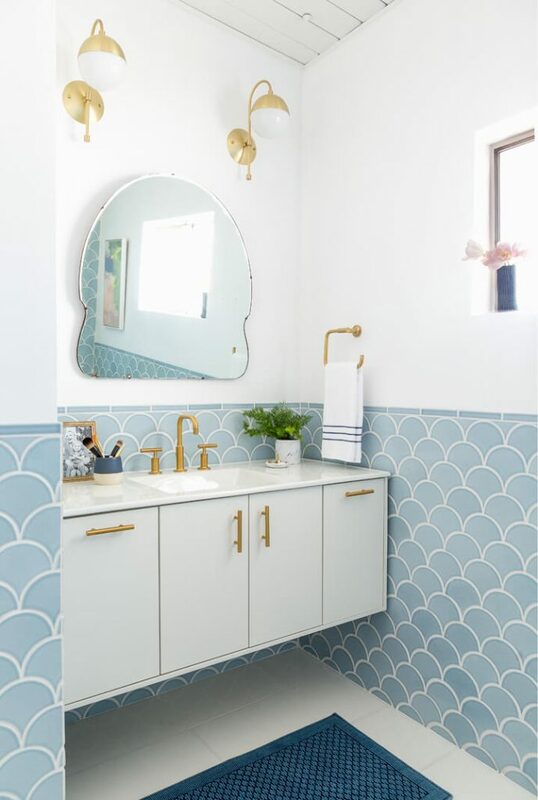 The fish-scale trend, which first emerged in 2016, is also still going strong – a great choice if you want a more feminine finish. 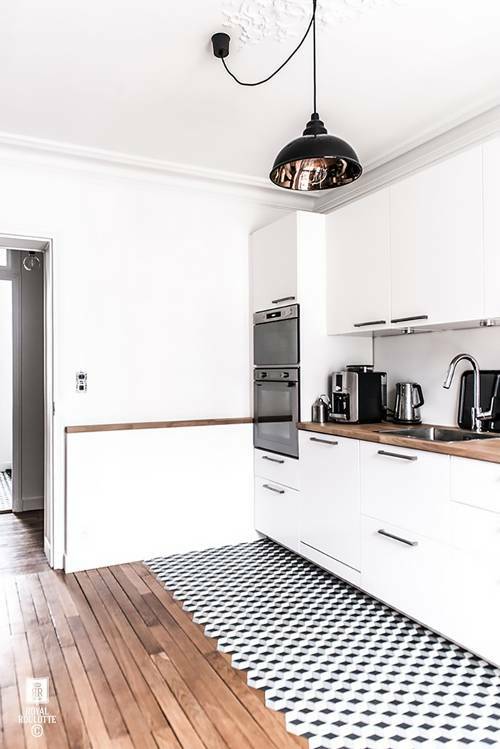 Don’t shy away from busier and smaller patterns which usually make a space appear visually more compact, they can also draw the eye into a room towards a focal point and give the illusion of space when placed cleverly. 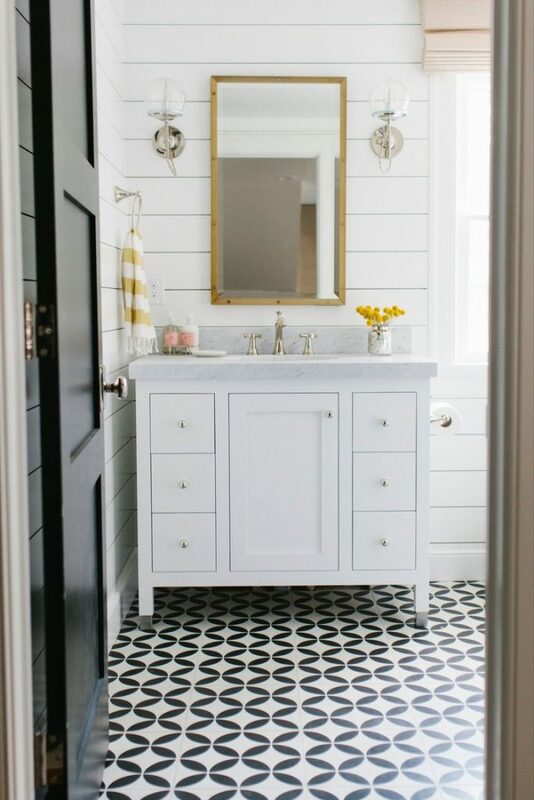 Carefully considering the placement of your tiles is a great way of playing with perspective in a room. Laying them diagonally rather than in a grid pattern will trick the eye into thinking it’s a larger area. Equally laying rectangular tiles opposite to a rectangular room’s shape will make a narrow room look much larger. 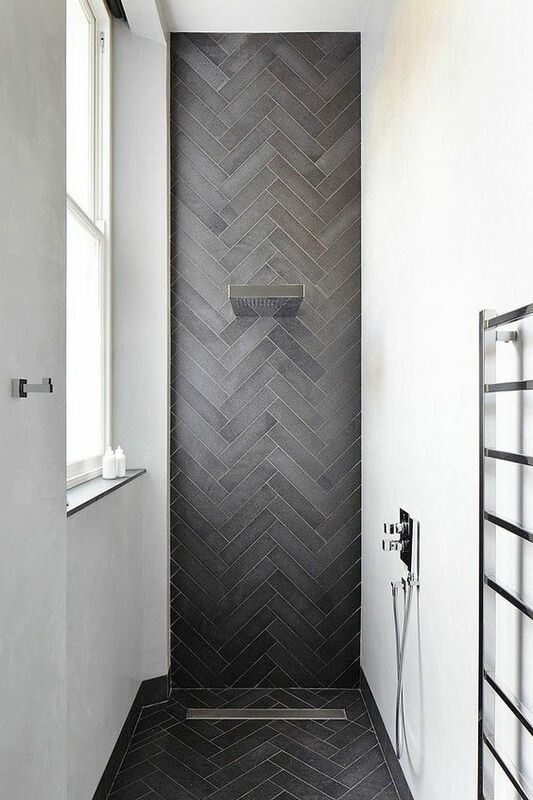 Vertical tiles can also be staggered for an unexpected, modern look that can visually expand a room. 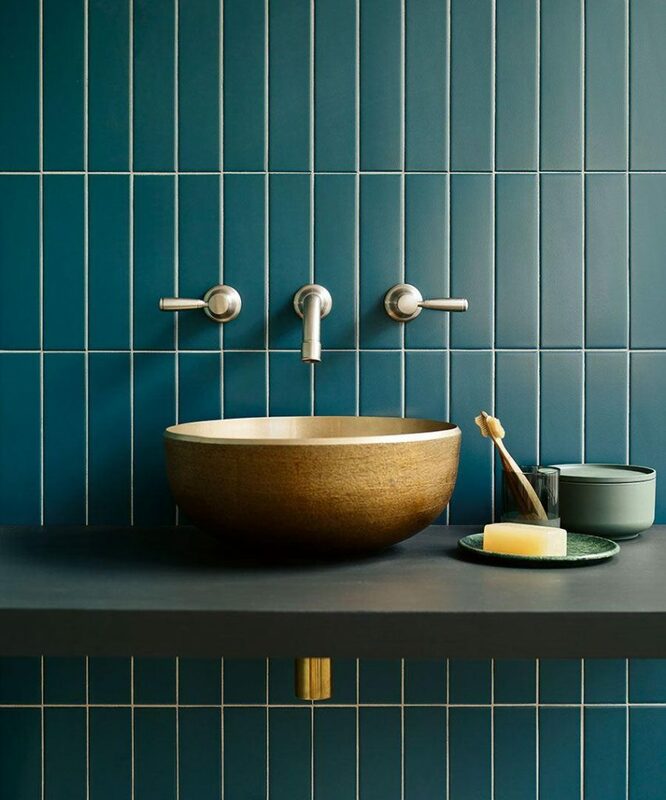 A simple trick to make a tiled room look much larger is to use a grout colour the same or similar to the tiles you have chosen. 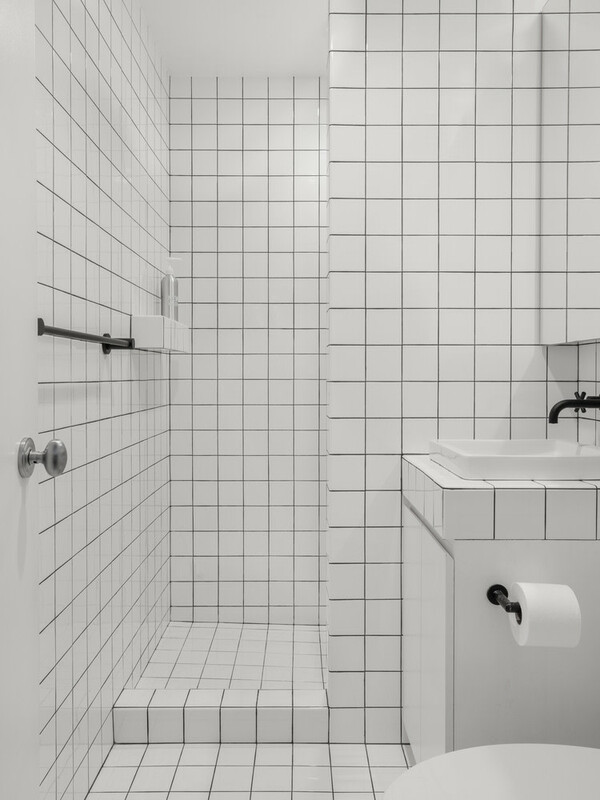 This will make that obvious grid pattern disappear and your tiles will no longer look ‘framed’. 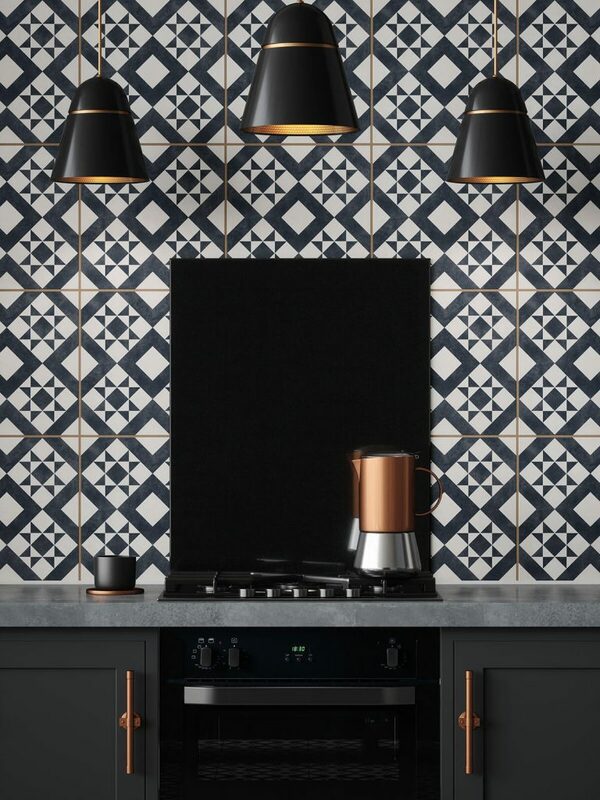 Alternatively you may want to accentuate the grid by using a contrasting grout for added drama. 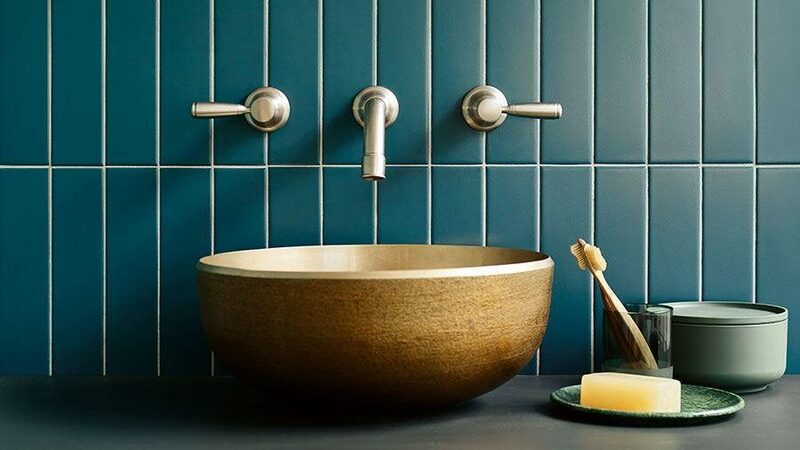 And if you’re feeling brave you may even want to experiment with using two tones of grout at once for a subtle style statement. But do make sure you tackle one colour at a time! If you really want to push the boat out for that all important ‘wow’ factor, you might want to look at ‘tile transitioning’. 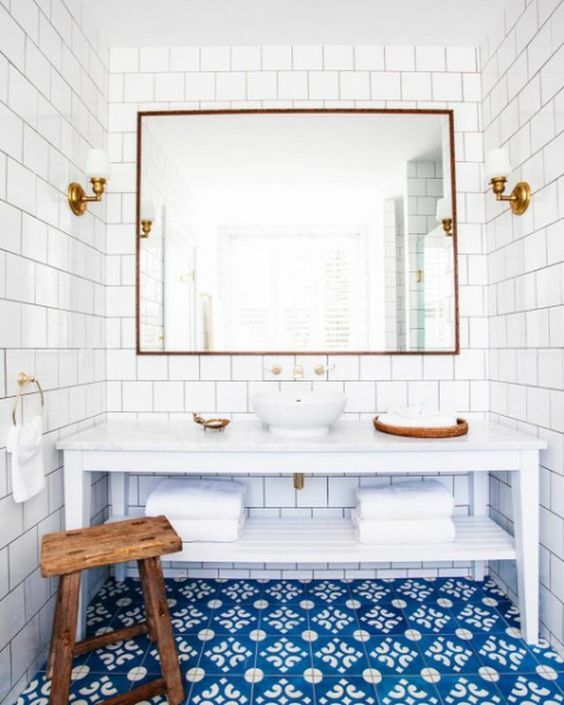 This trend towards interlacing tiles with wooden floorboards is seriously show stopping. The technique is perfect for zoning open plan spaces and creating divisions without the need for walls. Bear in mind you will need to make sure the levelling of both materials is spot-on whilst also considering the different types of underlay requirements. 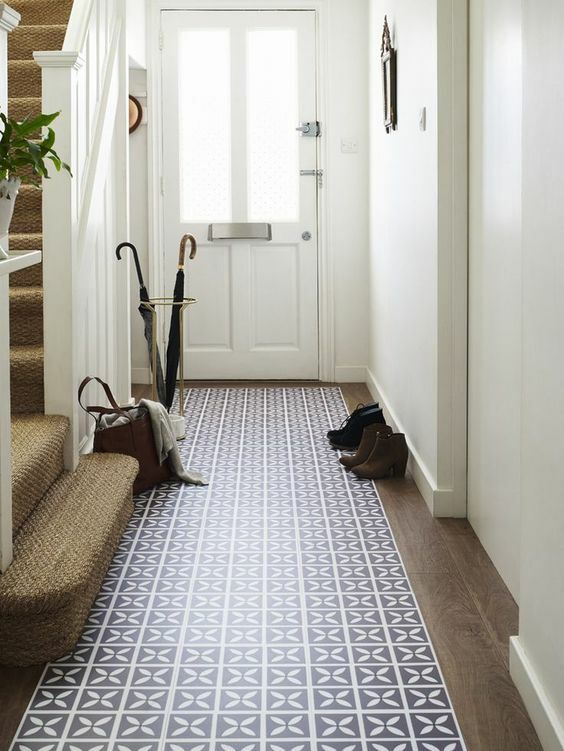 Or you might want to look at ‘rugging’ – a floor tiling trend whereby patterned tiles are surrounded by plainer tiles or wooden boards creating a rug-like block. This can look great in hallways or when used to create a dining ‘zone’. 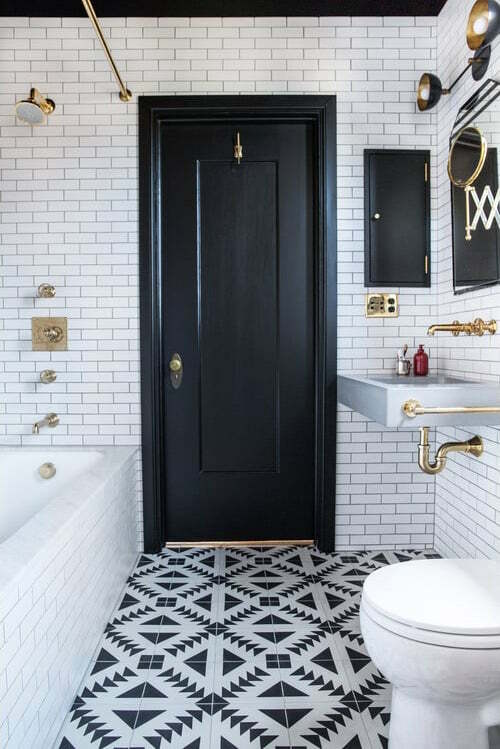 This year will also see a huge movement towards the use of bold patterned tiles on walls and floors. To get this look right it is key to have one hero in any given scheme. 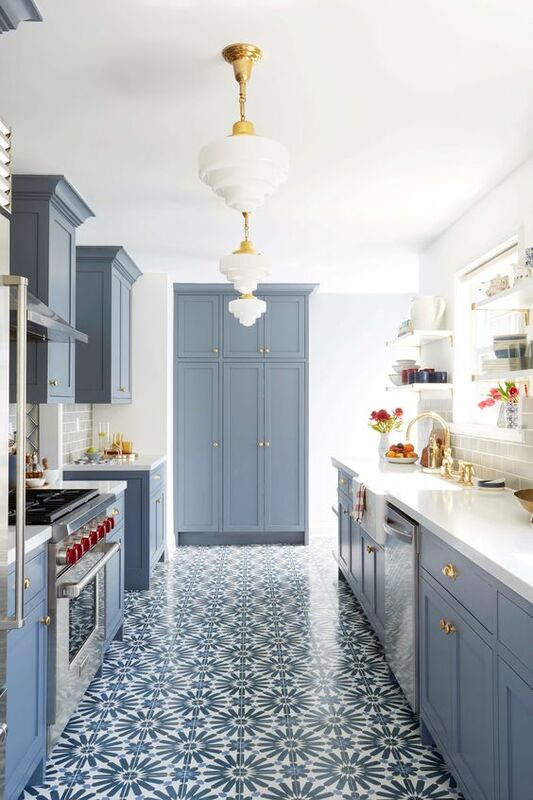 Be led by the colours within your chosen tile when considering the broader colour palette of the room, and keep to the rule of 2 – If you’ve opted for something simple for the walls, create your wow-factor with a patterned floor or vice versa. The more materials, patterns and shapes you use within a space, the busier and more compact it will begin to look and feel. 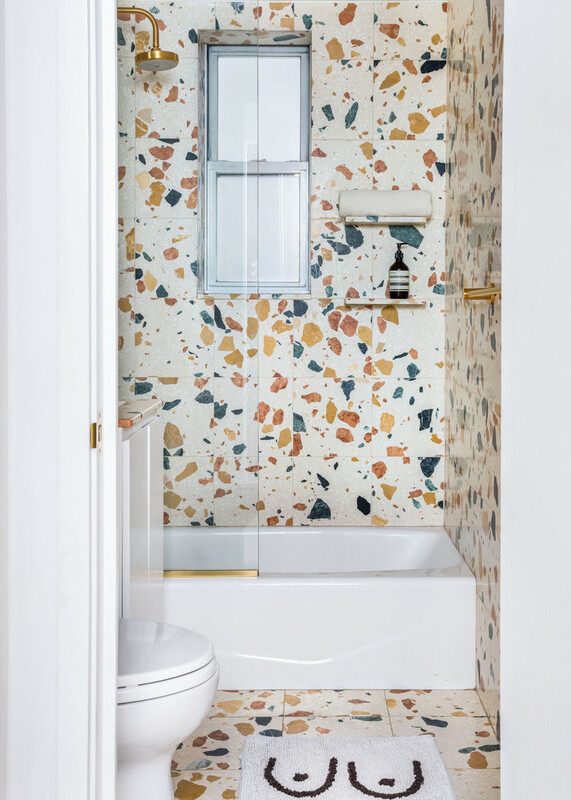 Let the statement tile do the talking! The simplest way to create an elegant look on any budget is by using the timeless combination of black and white. 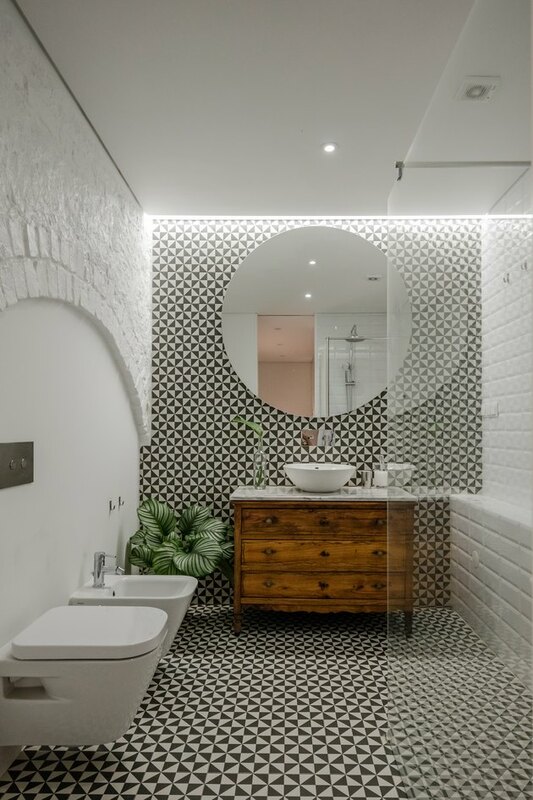 If you are really stuck making a choice, buy tiles relative to the amount of space you have and you won’t go wrong – a really large area can handle really large format tiles, while the most petite of bathrooms will definitely suit smaller, mosaic style tiles which will be easier to fit round more difficult angles. 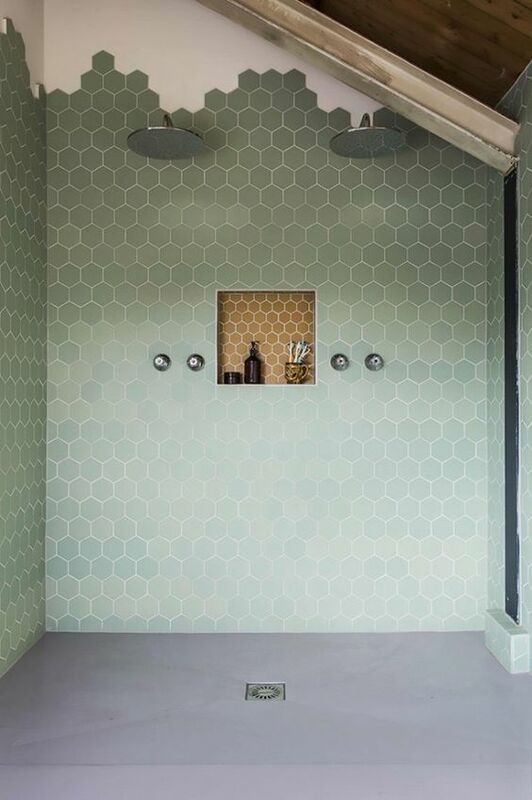 Carefully consider the colour and finish of your tiles. Lighter colours and reflective, glossy surfaces will reflect the light in a room, making the space feel bigger. Darker colours and matt finishes absorb light, making for a cosier, more intimate feel. Smooth tiles are easier to clean. 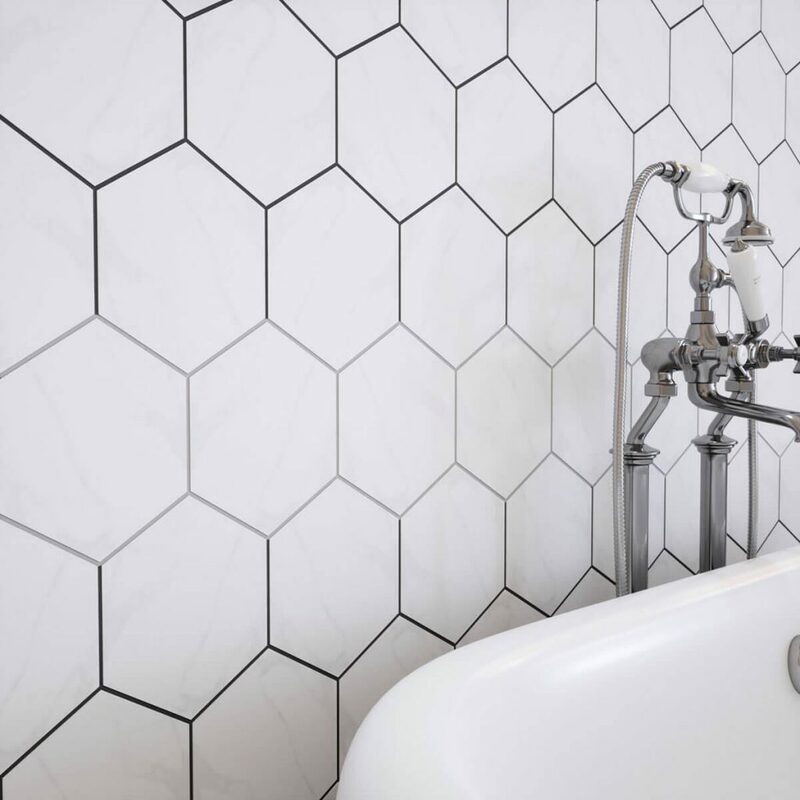 Water has more of a tendency to settle on heavily embossed tiles, natural tiles and those with bumps and grooves.